Former East Berlin tram no. 223006 (later renumbered to 3006) introduced in 1969. Upon unification, the tramway systems in the two parts of Berlin merged and this vehicle carried on in service until the mid-1990s. 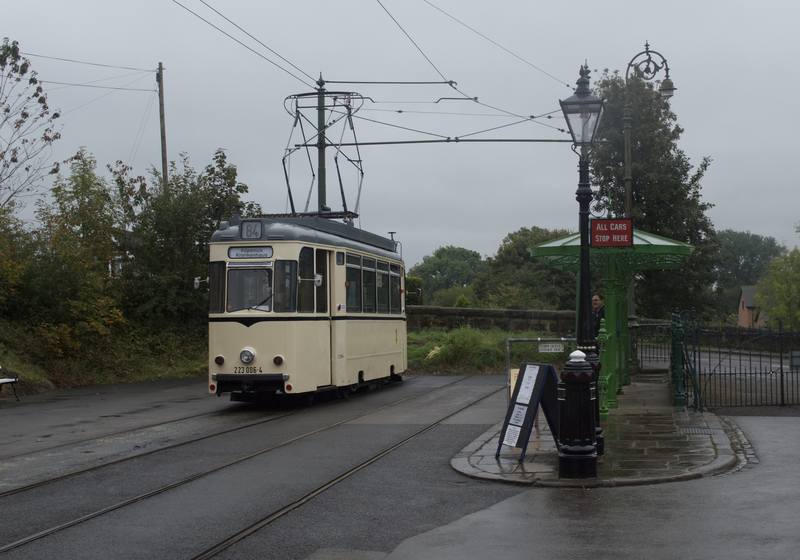 Seen on 21 September 2017 at Terminus Town End which marks the southerly end of the mile long line within Crich Tramway Village.